Your committed partner for solar technology. At Aztek Solar, we have expertise and are direct installers for a variety of solar systems. As a leader in customer service, Aztek Solar is committed to client service excellence. Once you are a client of ours, we will take care of you. Trust and Service + After-Sale Service Excellence, are building blocks of this company. Most commonly used to provide solar energy to domestic hot water systems, the flat plate option is an extremely economical option for your home or business. The units are totally leak-proof due to the flashing assembly incorporated into each panel. Each flat plate panel is pressurized, with glycol added as an anti-freeze benefit. Maintenance packages are available to provide you with extra security. Aztek Solar provides a 1 year bumper-to-bumper warranty on the entire system, including parts and labour. In addition, a 15 year warranty is provided by the manufacturer on the solar panels. These systems will provide 60 - 80 % of your hot water needs! Evacuated tubes are an excellent method of providing either domestic or commercial hot water - they are as effective in July as they are in January! The sun merely has to shine on the exterior glass for the energy to travel to the second tube, where it cannot escape. The evacuated tube acts much like a thermos, trapping heat energy within a vacuum. As well, due to the curvature of the glass, there is a magnifying effect which enables these systems to generate very high heat. As a system that works extremely well in cold weather, it is ideal for in-floor heating as well as domestic hot water. While these systems can be expensive to install, they also require professional installation - not a DIY system. 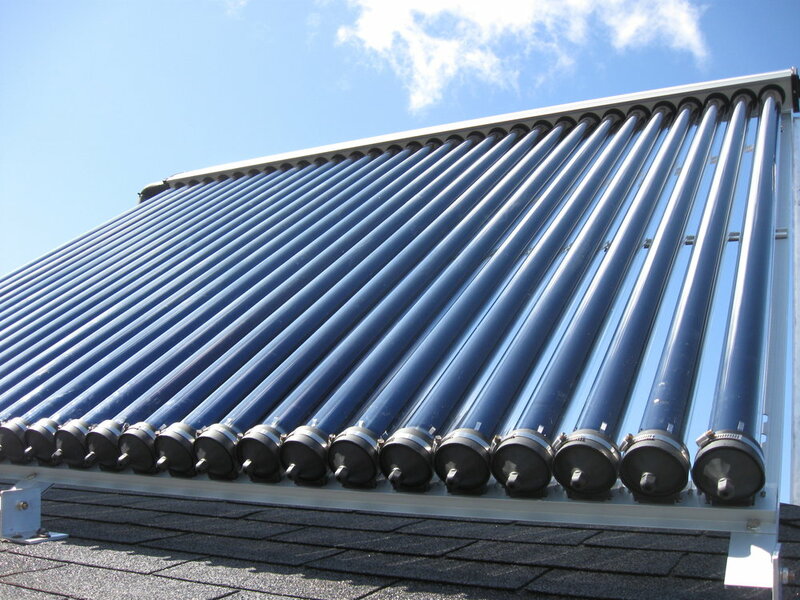 The drain back system is most commonly used when solar heated hot water is stored in an unpressurized water tank. These systems require no glycol (anti-freeze) as water is only pumped up to the collectors when there is heat available. When there is no heat, the pumps will shut off, and the water will flow back into the solar storage tank. The water remains stationary in the tank, and domestic water flows through a coil within the tank, heating as required. This is a very low maintenance, and therefore economical solution. Solar Photovoltaic (PV) is a total solar energy system used to supply power to your entire home or business. 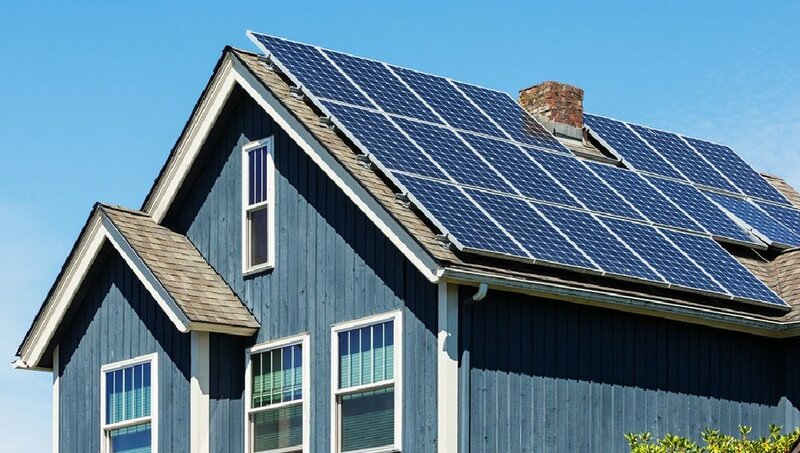 Solar panels produce DC power which is immediately inverted to become AC power which is what we use in our homes. This is done by installing a micro-inverter on each panel, supplying you with solar energy to power your home! Any surplus energy that is created can be directed onto the local electrical grid, earning you credits on your power bill. 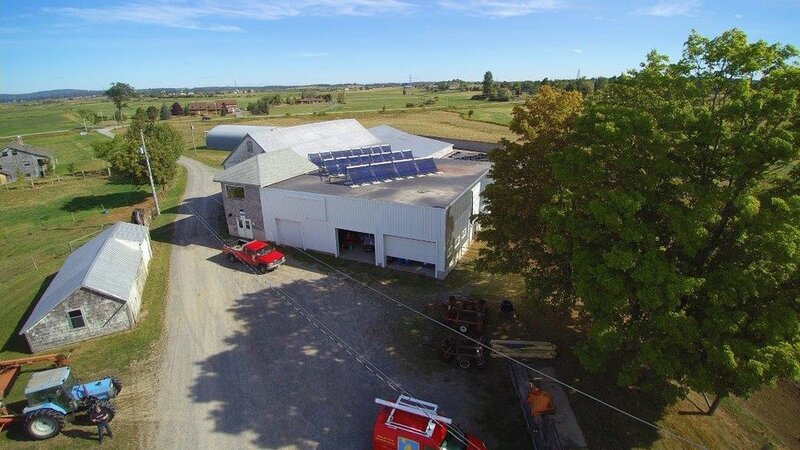 The Solar PV system is connected to the local grid and measures both your consumption and surplus. 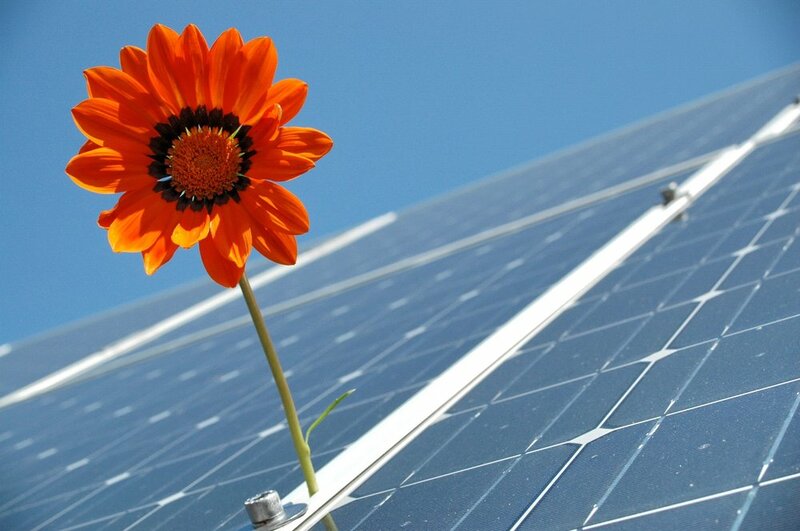 While expensive to install, many financing options, including HRM's Solar City, are available. With an average pay-back schedule of 11.5 years, many homeowners are able to experience very low electrical bills, and in some cases, a total reduction on their dependancy with local electrical grid systems! 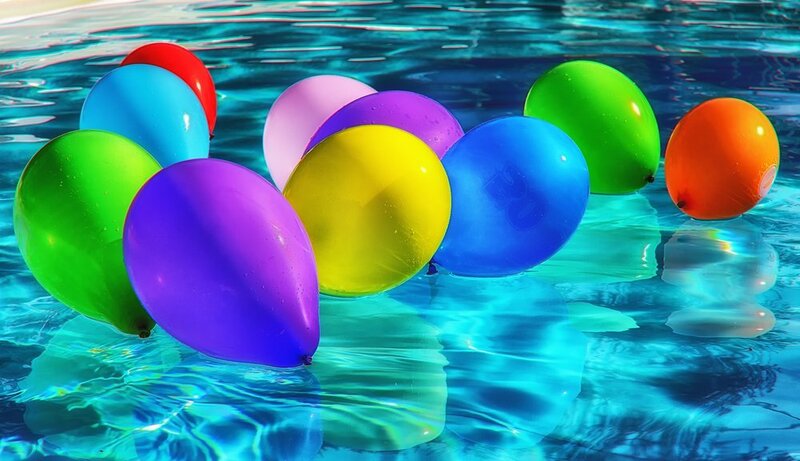 A back yard swimming pool is a significant investment. 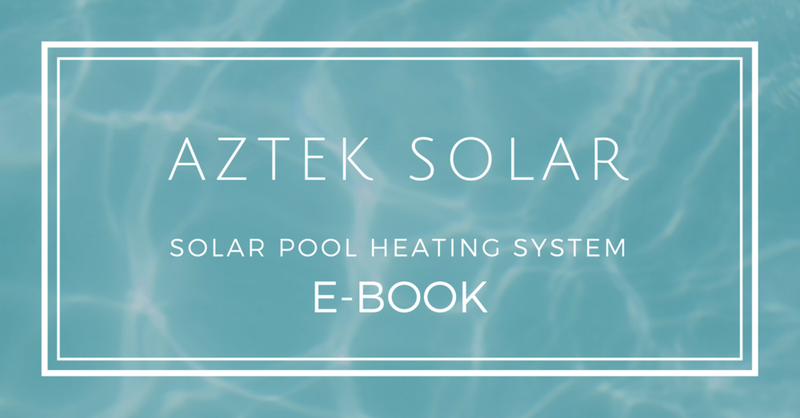 A solar pool heating system from Aztek Solar can help you enjoy your back yard retreat with warmer water longer! Extend your swimming season by using a solar pool heating system. Water from your pool flows through a series of solar mats, is heated by the sun then promptly returned to your pool providing you with a constant inflow of warm water. Imagine swimming well into November! i want to swim longer! Solar air collection heating systems from Aztek Solar are an environmentally friendly way to generate air heating in a variety of different climates and applications. Heat energy from the sun, normally striking the roof or exterior wall, is used to heat your home. Modular panels can be connected together, to directly heat multiple rooms. These installations are best positioned on a south-facing exterior and one panel will provide hot air heat for approximately 500 - 1000 sq. ft.